After a stellar June box, the July box was a bit of a letdown. I thought it was alright, but nothing too exciting. Read on to see what was inside the box! The pretty inside box with ribbon is no more... instead, SeasonsBox has switched to a printed outer shipping box to be more environmentally friendly. I forgot to take a photo of the outer shipping box, but I show it in the above video. The products seemed haphazardly tossed inside with some scrunched up craft paper. The presentation has definitely gone downhill. What I originally loved about the SeasonsBox was that it was wrapped beautifully (with care) and could easily be given as a gift for any occasion. With this change, I no longer think of SeasonsBox as a go-to gift idea. If the products are amazing, I might still consider purchasing a box as a gift, but I would definitely re-wrap everything before gifting. Enough about the packaging - let's move on to this month's products! This company sells handmade bracelets and other accessories from Costa Rica. I love that this company gives back by providing full time work to artisans in Costa Rica. I was actually looking forward to receiving these hair ties as I've been curious about them ever since I saw them in a Birchbox unboxing, but unfortunately I was disappointed in the colours I received. 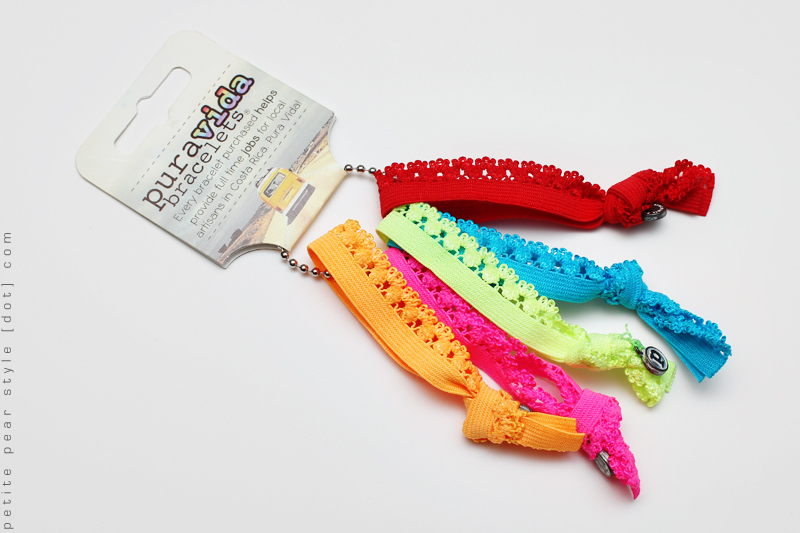 I had my eyes on the Shades of Grey hair ties (or another neutral set), but I ended up with the bright, neon ones. I think my sister would like these, so I'm thinking of giving them to her. This is my favourite product in the SeasonsBox this month. 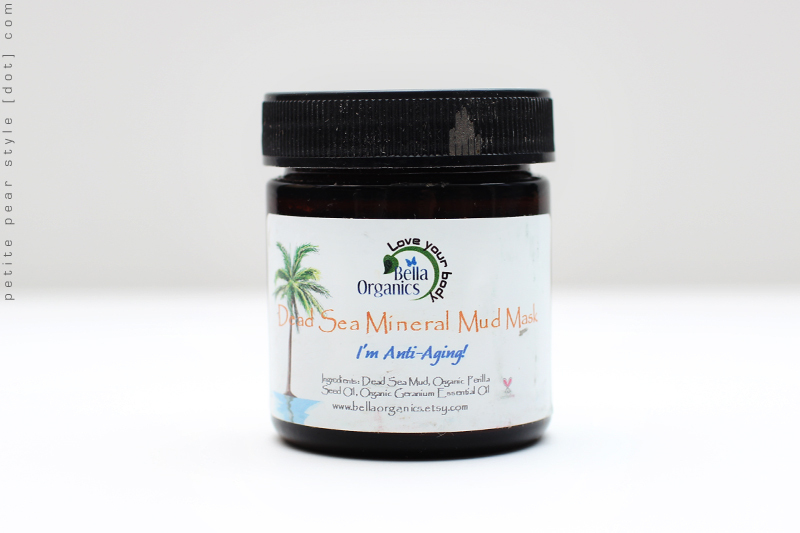 I've used this mud mask twice, and it made my skin feel great... smoother, firmer, and more youthful. I don't think it has done anything to reduce fine lines, but just the feeling of tighter skin makes this product a winner for me. I will be doing a full video review of this product (viewer request), so please stay tuned for that! When I use this product, I put on some facial oil (I've been loving Stellar from Pelle Beauty) before I apply the mud. The oil is supposed to help the mask work its magic, while protecting and conditioning your skin. I used to find mud masks way too drying, so this extra step has definitely helped. I leave the mask on for the recommended 15 minutes and then I carefully wash it off with lukewarm water and a damp wash cloth. I've been enjoying this cream - it's my 2nd favourite product in the July SeasonsBox. 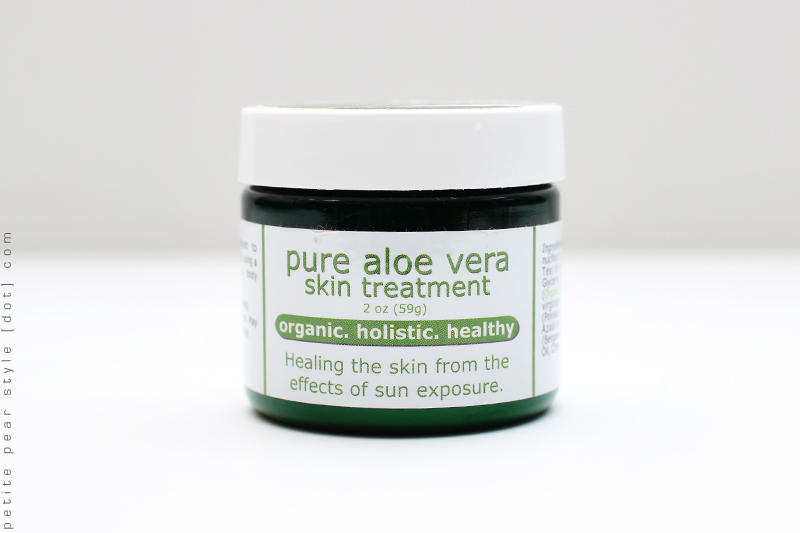 The first ingredient is organic aloe vera juice, so I feel like this product is good for my skin. :) The website says to use this treatment 2 to 3 times a week, but I've been using it nightly. I store this cream in my refrigerator (as the website recommends), and I apply one layer of the cream right before bed. The cream feels very cool and refreshing, but it is a little heavy and does not absorb very quickly. That being said, I still like this as a night cream as it leaves my skin feeling very moisturized in the morning. 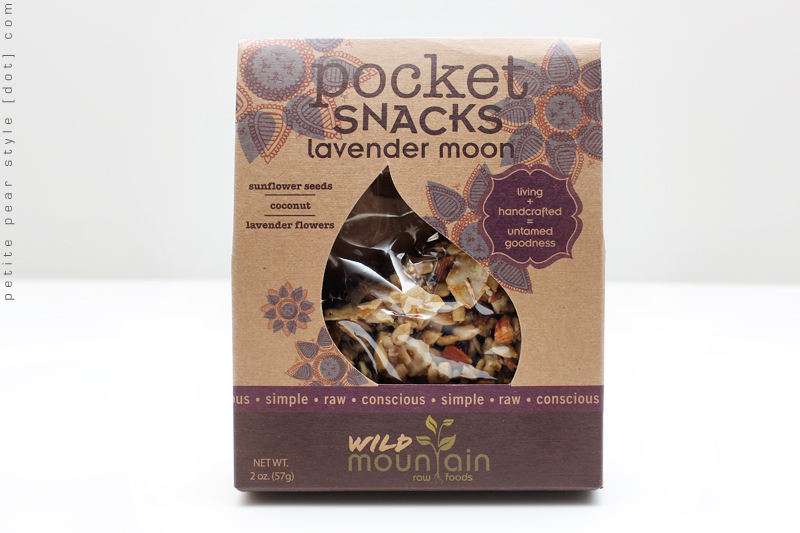 This soft granola type snack didn't taste a whole lot like lavender, but it was still delicious! Since this snack contains honey, it is not vegan as the product card indicates (thanks Zoe!). The full ingredient list is organic sprouted sunflower seeds, organic raw almonds, organic coconut, local raw honey, organic apricots, organic lavender flowers, and sea salt. This was a little bonus that was included in this month's SeasonsBox. This snack tasted ok, but I didn't think it was anything special. In fact, my hubby and I still have not finished this - we only had a taste and didn't pick it back up again. 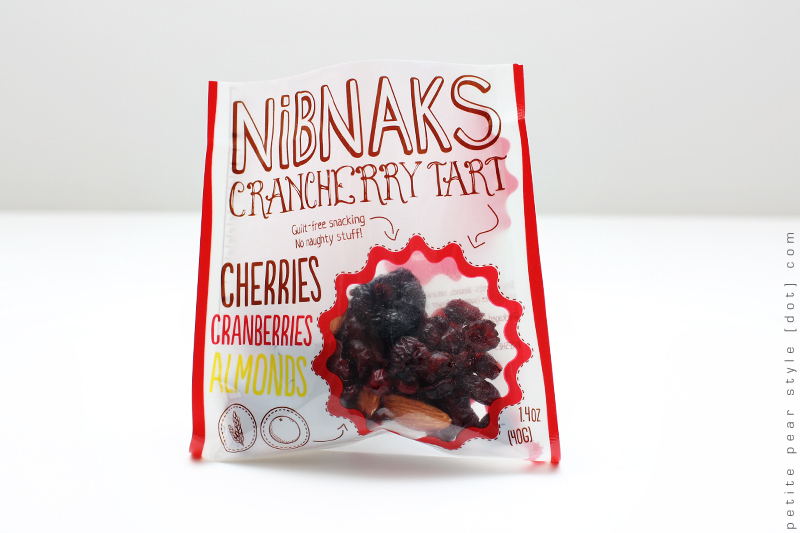 I like the packaging a lot (logo, typeface, and design). Overall, I wasn't too impressed with the July SeasonsBox. I've already received my August SeasonsBox and I will be working on my video review this weekend! Like Jayne, I heard along the grapevine that this is no longer available for CAnadians. It's a shame because it seems like the previous boxes were pretty good! Just in case you didn't know Ellesy since you are a yearly sub, the monthly subscribers had their boxes cancelled and I think this was pretty much decided in June since I never got a box and when asked they gave me thousands of excuses until finally they said they weren't shipping to Canada any longer this month. I got refunded for the past three months. oh i didn't realize all the monthly subscribers had their boxes cancelled! :( that is disappointing... especially with the poor communication. the last i've heard from this company is the FB announcement about one of their team members having a medical emergency. i haven't heard anything further (and certainly have not received any money back), so i'll just hang tight for now. thank you for the heads up, cindy!